The disastrous event goes from bad to worse. Fyre Festival's original pitch presentation has been leaked amidst backlash facing the catastrophic event. 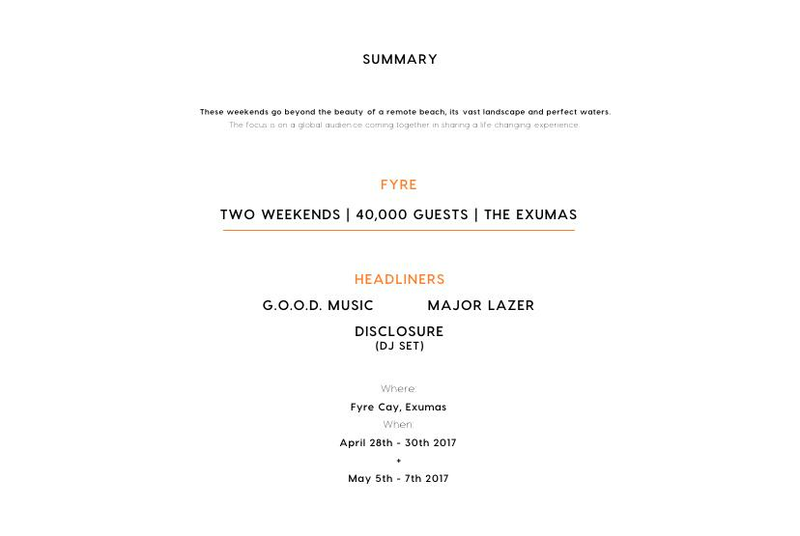 In the 43-page pitch deck obtained by Vanity Fair, employees of the festival are referred to as "The Fyre Squad". There's also an entire segment dedicated to the event's social media influencers, known as "The Fyre Starters", which includes Kendall Jenner, Bella Hadid and Hailey Baldwin. In the months leading up to the festival, models were pictured arriving by private jet to the Bahamas, taking bikini-clad "FOMO-inducing" snaps to promote the event. However, just hours after the festival has begun, many "Fire Starters" quickly started deleting their promotional posts, some of which were not actually labeled as advertisements. Social media users witnessed the fiasco unfold last Friday as unlucky attendees live-tweeted the Bahamas-based festival's squalid conditions and appalling guest treatment. Festival goers were promised a luxurious, celebrity-endorsed live music getaway, but were instead met with disaster relief tents, cafeteria-sliced cheese, lost luggage and no electricity. As a result of the online uproar, musical acts refused to turn up - an action mirrored by the festival's "Fyre Starters". Fire Festival originally marketed itself as a "once-in-a-lifetime" musical experience in the Bahamas with luxury beach cabanas and gourmet cuisine. Ticket prices ranged from $1,200 to over $100,000, with up to 40,000 anticipated to arrive on Great Exuma Island last weekend according to the presentation. The cost included a flight from Miami and a stay in a "geodesic dome", whilst festival activities included yoga and kayaking. 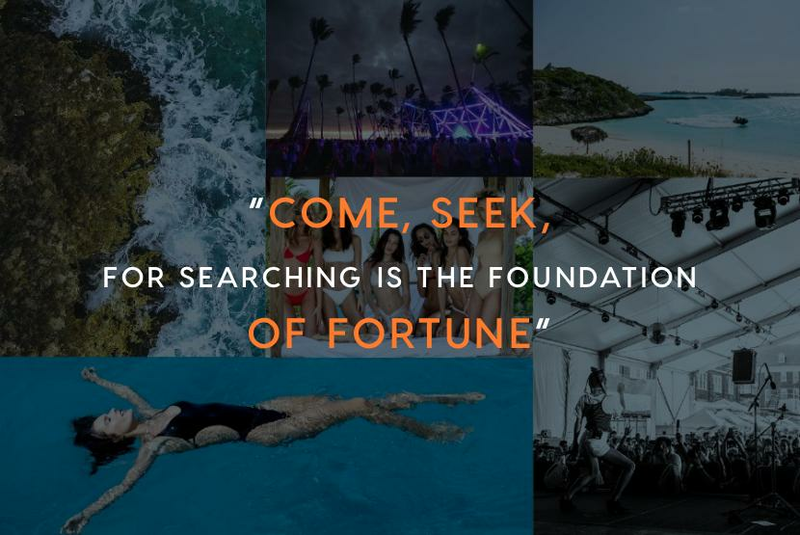 Following the disastrous event, organisers of Fyre Festival have been hit with a $100 million lawsuit by one of the attendees. Event organisers Ja Rule and his business partner Billy McFarland are being sued for "fraud, negligent representation and breach of contract." The American rapper tweeted as the drama unfolded, claiming that the disaster was not his fault. The co-orgnisers released an official statement to Billboard in the wake of the event. They said fans who attended this year's event will be refunded in full and given "free VIP passes to next year's festival."